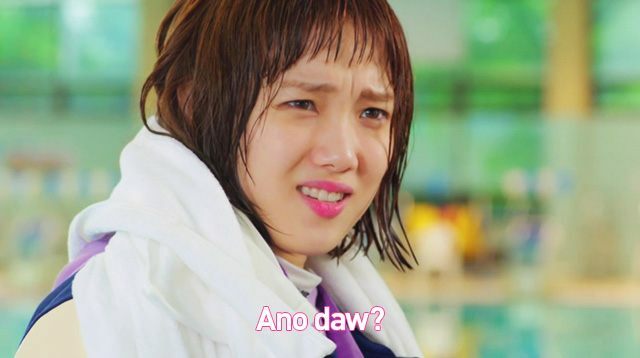 Most K-drama fans who watch the Tagalized version of their fave shows are almost instantly put off. It's either we're just used to the actors' real voices or the dubbing is really wrong. For most of us, it's the latter. "Why did they cut so many scenes?" Having already seen the show (too many times, in fact), we know the order of scenes in the original series. So it's a bit disappointing when you're looking forward to a certain scene only to find out that it didn't make the cut. We deserve an explanation! "That line definitely got lost in translation." Since you already know what will happen in the show, you tell your friends or your family members to pay attention to a particular scene that you find really sweet or funny. But because it's delivered or translated differently, they don't get the joke or the gesture. Fail! "It feels funny listening to them speak in Tagalog." The guy you were swooning over because he's all kinds of cute? Hearing him speak our language kind of changes his personality. It's like realizing that your crush is just like most of your guy friends after getting to talk to him. Despite the differences between the original and local versions, we still watch it because it still brings a smile to our faces (especially the kilig scenes! )—no matter how funny or weird or annoying it may be.